Occupying the parlor floor of this Chelsea townhouse is a unique loft-like one bedroom with 12-foot ceilings and a private terrace. Grand proportions and an open floor plan create a space that is ideal for entertaining. 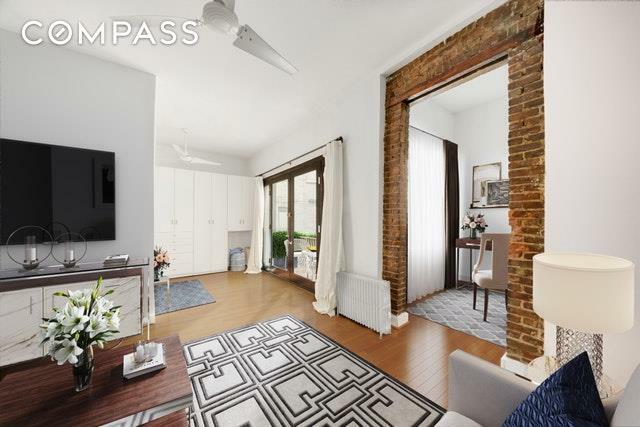 The apartment is decorated with original architectural details including exposed brick, steel beams, and hardwood floors. 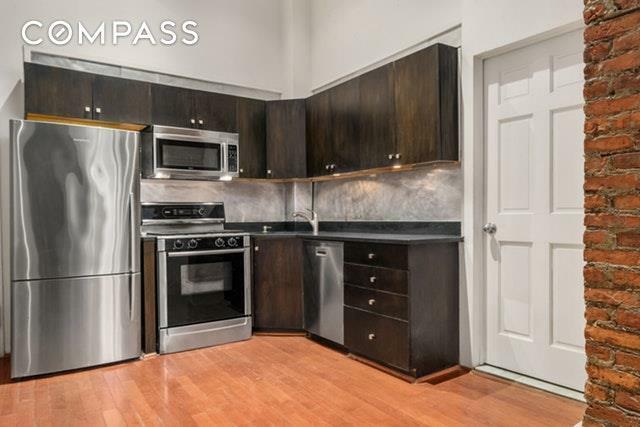 The open kitchen is outfitted with stainless steel appliances, granite countertops, and mahogany stained cabinetry. The adjacent bathroom is complete with blue floor and shower tiles, subway wall tiles, and a sink vanity with ample storage space. The bathroom also houses a washer/dryer.Wake up every morning facing the picturesque European oasis that is your very own private planted terrace. Enjoy breakfast outside, perched above the lovely garden below. Opposite the master bedroom is an additional alcove space, which can accommodate a home office/guest bedroom/nursery. 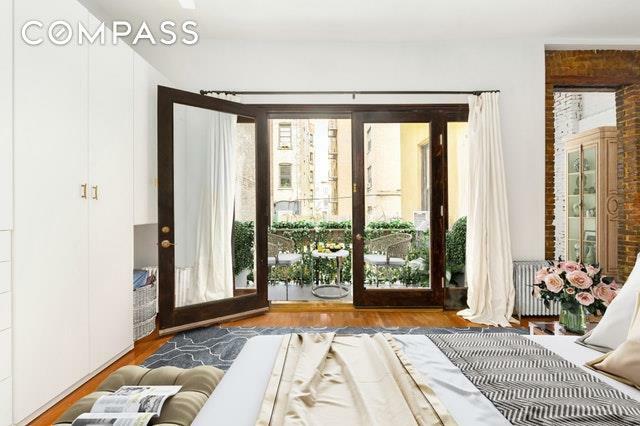 207 West 21st Street is an intimate pre-war co-op with only six units. 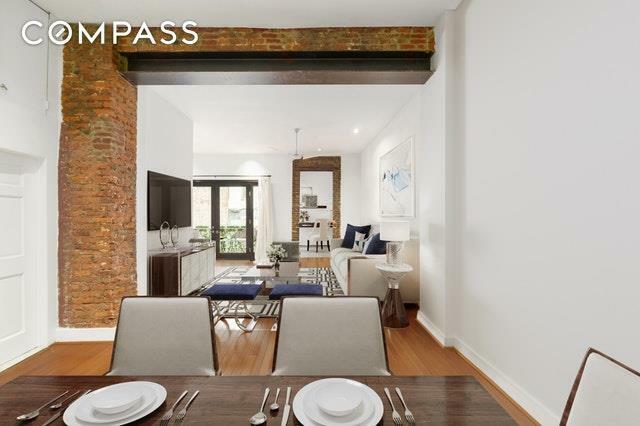 The buildings quiet and convenient location on a tree-lined street is within several blocks of the High Line, Chelsea Market, Whitney Museum, and Meatpacking District and steps from the 1, C and E subway lines. Please call or email today to schedule a private showing.